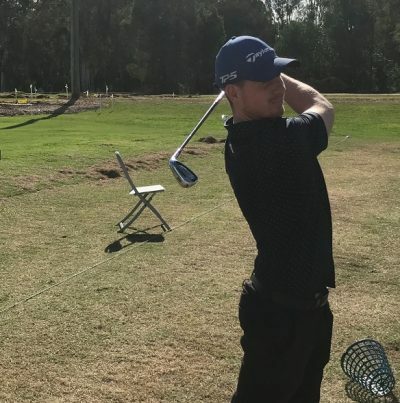 Blake Dowd- a second year trainee whose passion is coaching and helping people enjoy golf. Blake’s approach to teaching students varies depending on the person’s skill level from beginner to advanced. Blake’s has an excellent ability to communicate with golfers and gain maximum confidence in their ability. He has the accessibility to numerous training aids such as Blast Motion, Super Speed Sticks, Laser Optics for putting and several Tour Striker training aids. In his first year Blake acquired enough points to be advanced certified in teaching. Blake is highly motivated in advancing his knowledge in all aspects of the game of golf.